►Call Your Senator this week to help UMB! Find your senator's name and phone number online here and ask them to support the following (see here for further details). 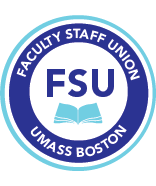 UMass Boston Centers and Institutes: are provided funding no less than in fiscal year 2018 (this current academic year), and asks for reporting and provisions to mitigate harm should any cuts be made. (See attached for further information). Provides to UMass Boston Supplemental funds of $3 million to reduce the deficit for this academic year. Increases UMass (Systemwide) funding by $15.4 million. Establishes a Special Commission on UMass Boston Debt to investigate UMass Boston’s infrastructure debt, gather reports and records of these, and assess the impact of the original infrastructure debt on the current operations at UMB, including the amount of money needed to correct all deficient construction-related activities caused by the initial construction of the campus that then will be reimbursed, paid off or assumed by the Commonwealth instead of by UMass Boston. ►Participate in the Chancellor Search by attending the meetings, today and tomorrow at 2 pm (for presentations by candidates) in the Alumni Room, Campus Center. (The open meetings that allow for more questions and answers are at 4 pm). ►We have been asked to email you to continue to gather signatures for the attached statement about our Urban Mission that will be presented to the three finalists in the Chancellor search and President Meehan from faculty who desire a new Chancellor who will be unequivocally committed to this mission If you are willing to sign this, please email Amy.Todd@umb.edu (indicate if you are faculty, staff or student). ► UPDATE: The Attorney General approved the Mt. Ida deal. See here for more.